Farabi Professional boxing shorts series is specially designed for the fighter with Ultra-Light Satin-P material which gives a smooth and soft feel. The Nano-Satin fabric have is powered by the cool-NT lining which keep the lower body cool and stress free during training and combat. Cool -Brisk Nano satin-P fabric is extremely soft against the skin and provide a refreshing feel. Made using the Z-Smart designing sensation these shorts allow easy moment and augment the overall performance. Knitted using K-knit Pico thread technology powered by D-Vento pores these shorts wicks the moisture and allow easy ventilation. The C-Wide ultra-waistband is designed to support the back and can be used with the abdomen guard. The waistband is equipped with stretchable G-Net system which gives the best fit and comfort. The Swift-z Velcro Closure system provide added snugness and can be adjusted according to the need. The high quality Satin Fabric is durable and long lasting with added anti-Microbial properties. RDX's brand new line of boxing shorts are built with a kind of panache that'll bring out the best boxer in you. Performance polyester wicks sweat away from the body towards its upper layer for a dry and comfy feeling in these training shorts that have a wider groin area to fit your abdominal guard under. The elastic waist with drawstrings ensures a non-slip grip so that your focus is on sparring and fighting while our design takes care of the rest. A legacy in the building brought to you by the brand that makes you better. 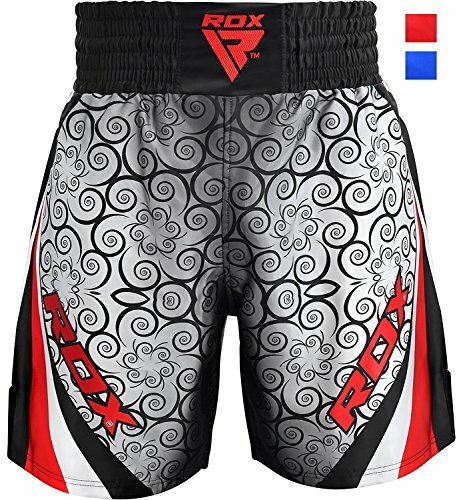 This stylish RDX Muay Thai shorts made from high tech moisture wicking 100% satin with direct embroidered RDX logos throughout the contemporary design. The fabric has the odour prevention material that inhibits bacteria growth so your shorts don't smell. With an anatomic cut which aids the freedom of movement and intense beauty in the ring which enhances higher mobility and flexibility for your better performance. The trunks are cut long with a professional 4" elastic waistband, leg slits and intricate accents. 4" wide waistband with multiple channels of elastic for snug and firm fit during a muay thai bout. 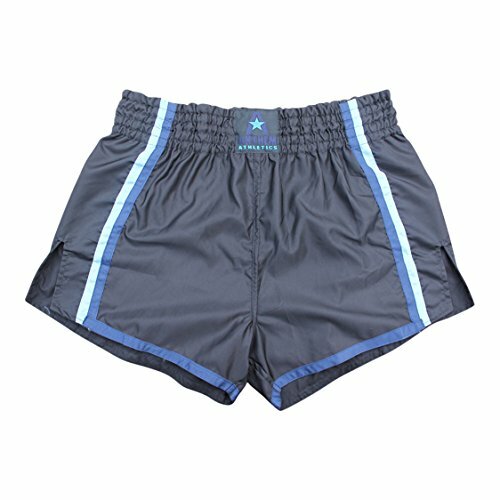 The overall construction of the shorts are excellent, there are reinforced T3 stitching seams that makes the shorts very strong and durable to withstand the most extreme amount force. 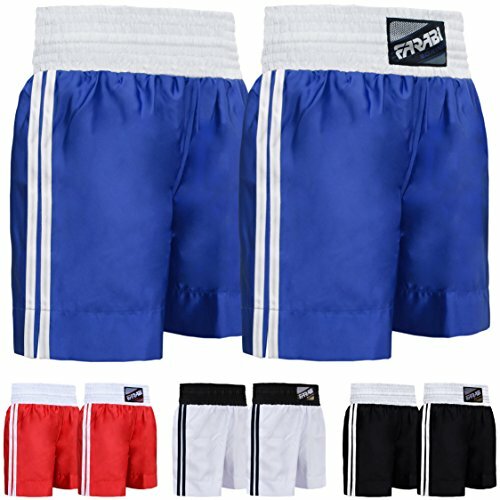 These shorts also great for other activities besides Muay Thai - you can use them for running, other sports and comfortable enough for casual wear around the house. Machine washable. 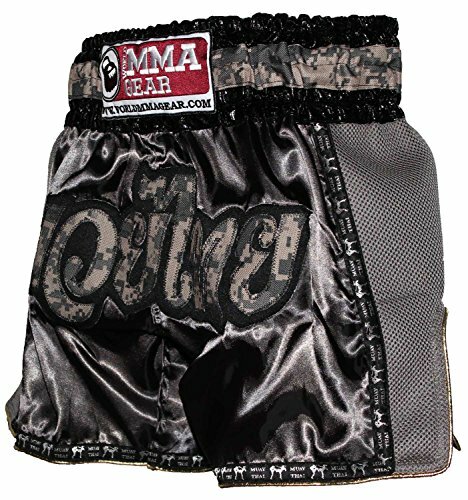 World MMA Gear is proud to present our new design of Camo Retro Muay Thai Shorts. 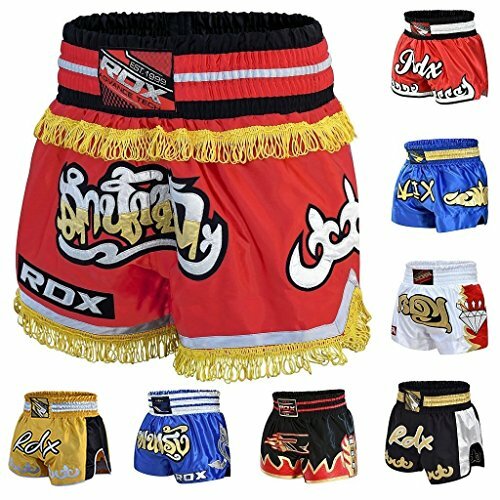 These Thai Boxing trunks are handmade from 100% high quality satin, the same smooth and cool feeling for your body while sparring. 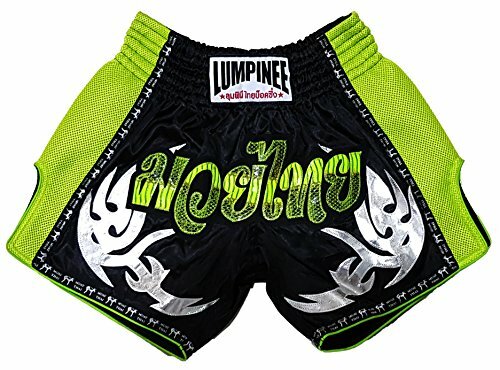 We created these Muay thai shorts that will be stronger, durable and withstand the rigors of Muay Thai. 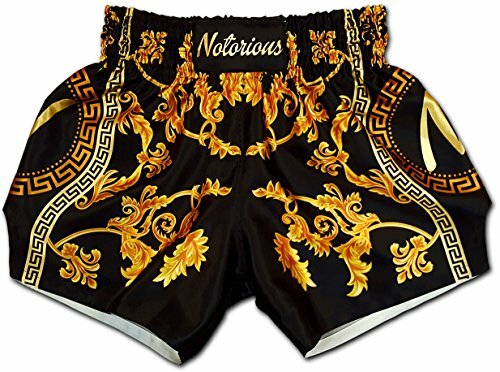 High slits, traditional graphics and embroidery, will give you the perfect Muay Thai shorts whether you are training and especially in the ring, fighting. 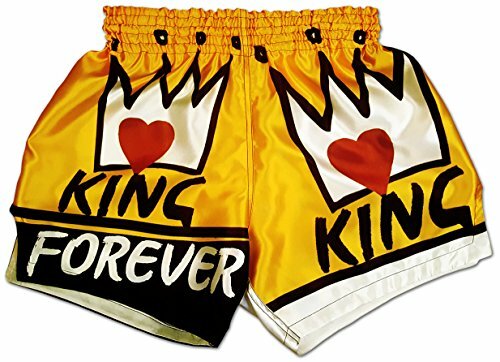 Compare prices on Thai Trunks at ShopPlanetUp.com – use promo codes and coupons for best offers and deals. We work hard to get you amazing deals and collect all available offers online and represent it in one place for the customers. Now our visitors can leverage benefits of big brands and heavy discounts available for that day and for famous brands.